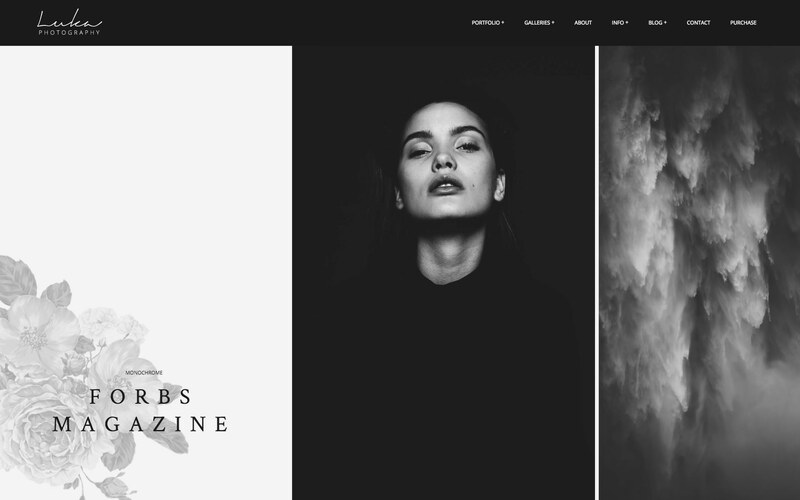 The beautiful, subtle animations make the site feel almost alive. 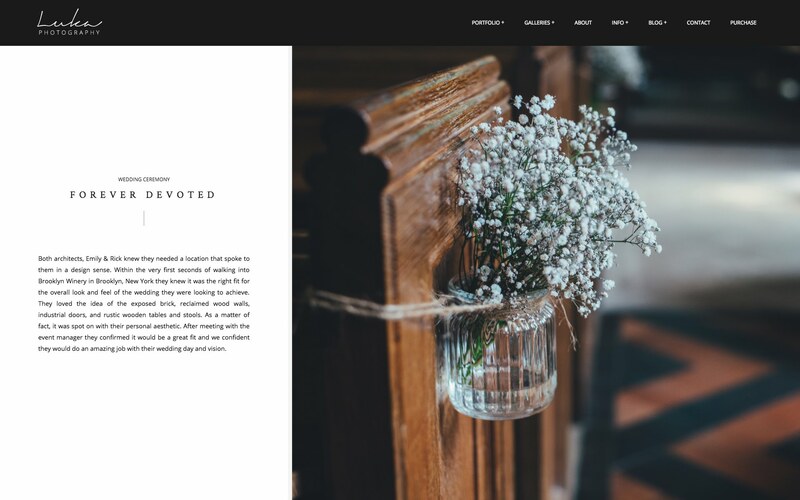 Filled with little accents such custom typography, graphic elements, call to action area and horizontally scrolling full-screen galleries, this theme is sure to capture your prospects attention. 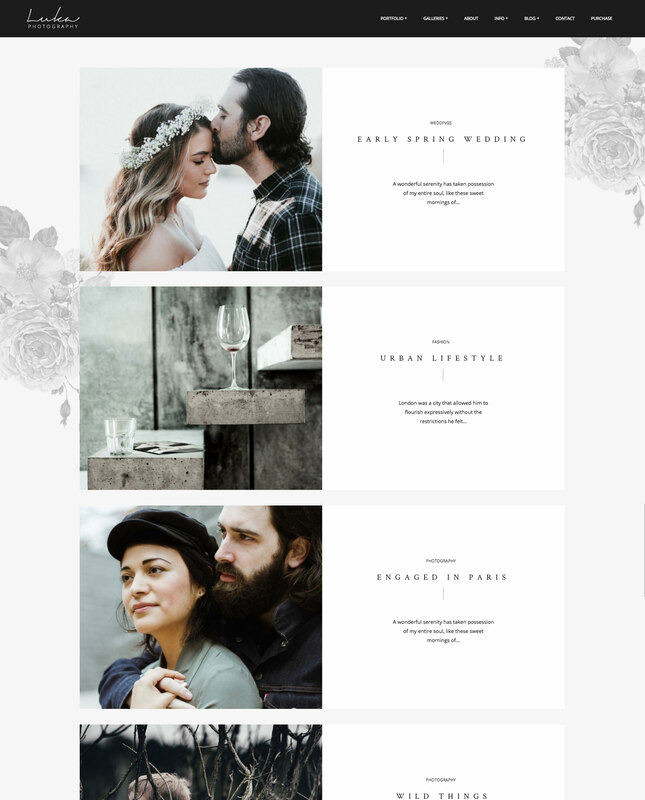 Luka is filled with beautiful animations that make the site feel alive, intricate decoration images, and custom typography. 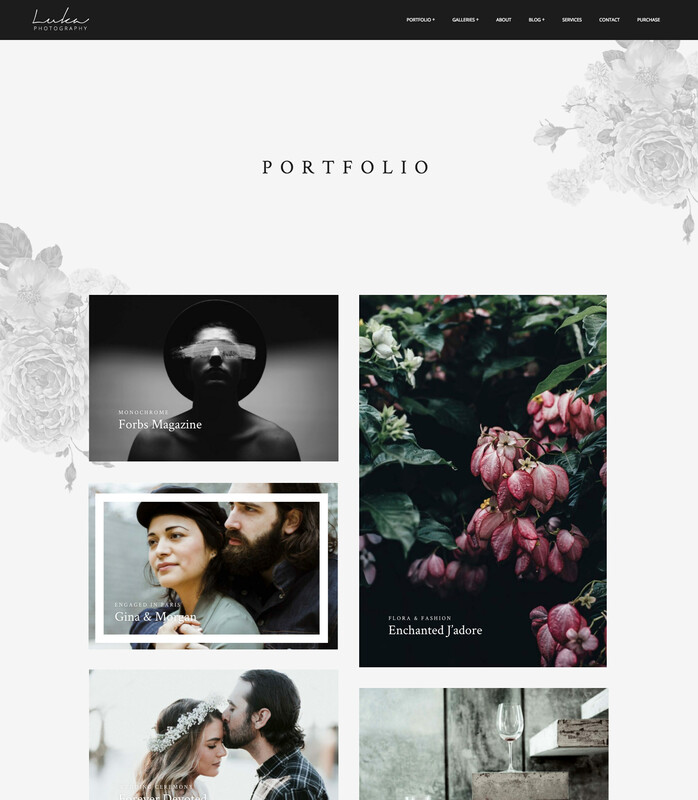 Easy to use masonry style portfolio comes with an option to create multiple portfolio pages with different galleries in each. Horizontally scrolling image galleries will show your images in a full-screen view without cropping them. Special description area can easily support both small and large amounts of text or can be disabled completely. 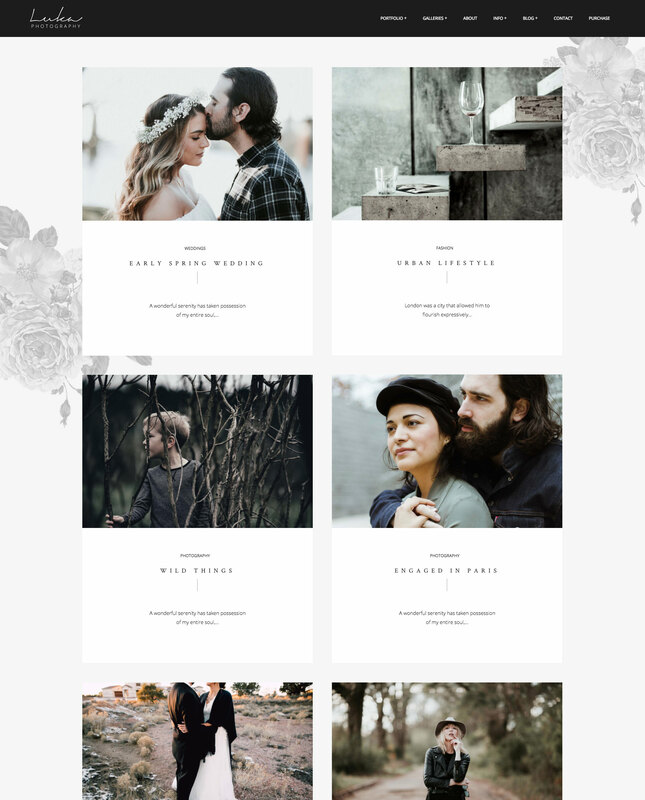 No matter if you have many images or just a few, have something to say about each gallery or just want to show your best work – Luka will make your portfolio galleries look fantastic. 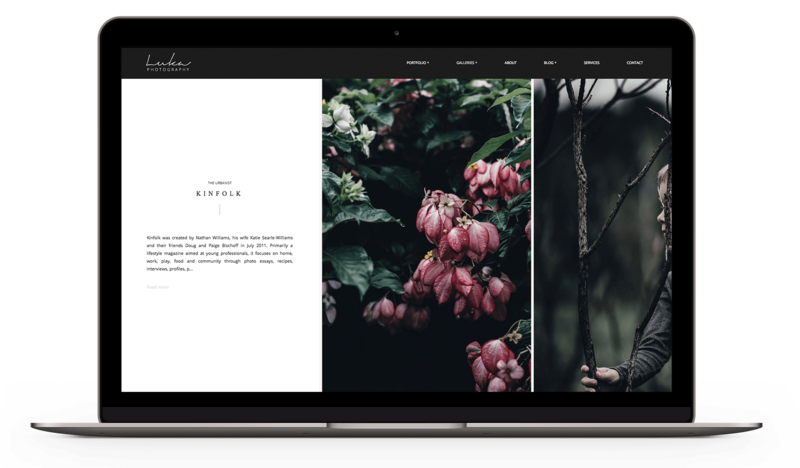 Luka Photography WordPress theme comes with two custom made blog layouts to give you the ability to choose the one that works best for you. 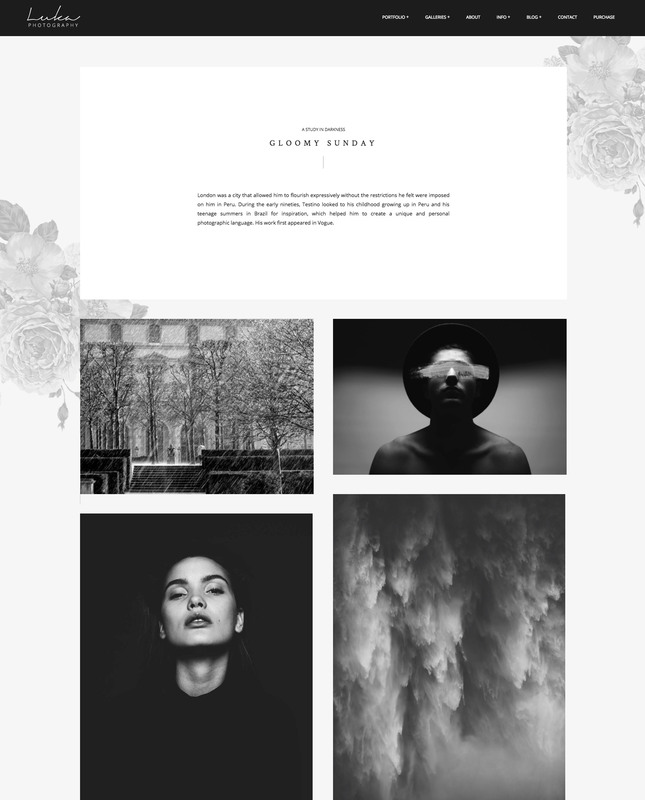 Luka’s portfolio was designed to show your best work, but Luka’s blog posts are meant to tell the full story of your greatest photo shoots. 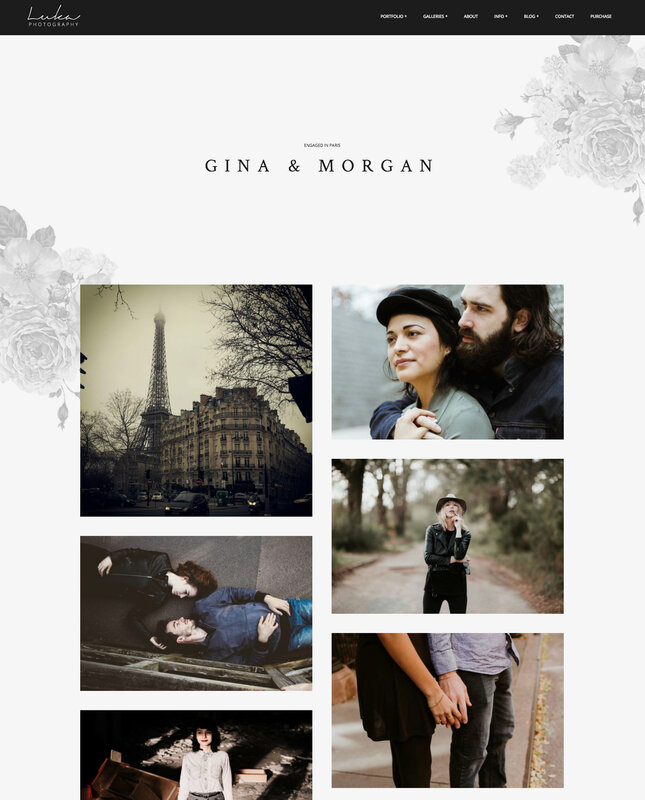 Combine images with text to help your site visitors relive the moments you captured with your camera. Luka is fully responsive, retina-ready and optimized to make sure your website is accessible from any device. Ease of use is extremely important to us that is why our themes are simple to set up, come with 1-click demo import to get you started fast and are well documented and supported. Go ahead and check out Luka Demo site now!